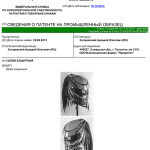 Following a decision by the Federal Service for Intellectual Property regarding the issue of a patent for a useful model, the “Predator” helmet will be manufactured by Nitrinos. 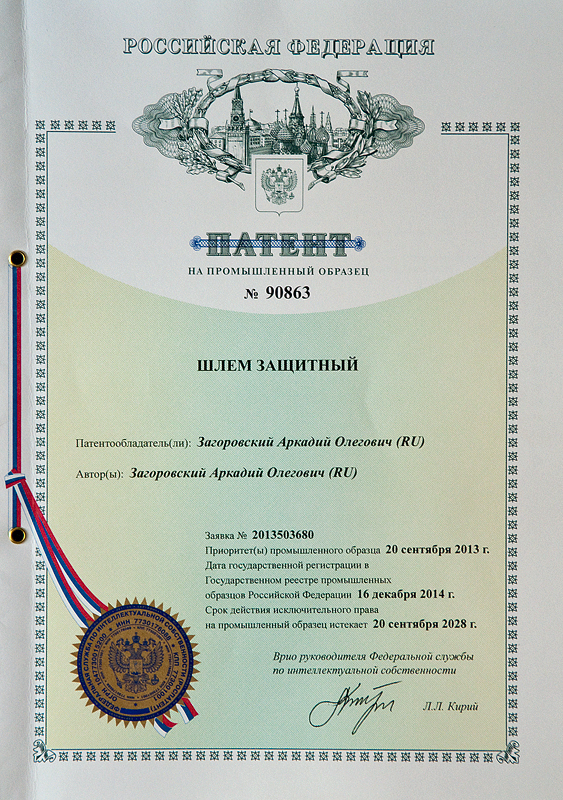 Unauthorized copying, advertising, manufacturing of counterfeit copies and selling them will be prosecuted by law. 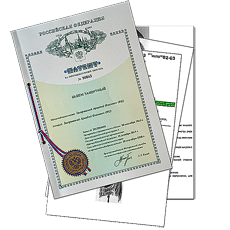 Counterfeit copies found on the Internet do not offer proper quality and safety. – Fake Predator helmet is usually a cheap motorcycle helmet ($ 100-200) + plastic mask with dreadlocks; price of fake comes to $ 800 or even more! It is too much for a plastic mask, isn’t it? Helmet + mask look very clumsy and stupid > watch this video < – Instead of visor, the tinted shield is used in a fake helmet. 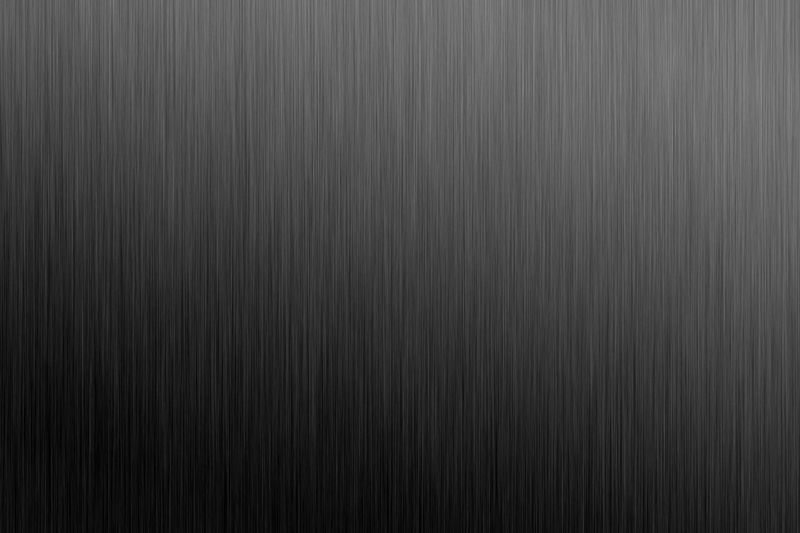 Such shield is easily scratched and it cannot be replaced! In addition, in the evening, you couldn’t drive with a dark shield, you need a light one; there are no light visors in a fake. – If you buy a fake helmet by mistake, you will never be able to make a refund as it happened to this guy > watch the video < Fraudsters conceal their names after the deceit and you can’t get your money back! - In a fake Predator helmet, the laser beams down to the legs but not to the side of driver view. Power battery of laser used - is too small, after 2-3 hours of use the battery has to be changed. - A fake helmet fits on head very badly. The fact is that a standard motorcycle helmet is designed for comfortable wearing. But when a mask with dreadlocks is glued onto a fake, the center of gravity is broken and it is dangerous to drive. Fake helmet is much heavier than the original Predator helmet. – The price of fake helmets could be differential, but even an expensive fake helmet is not THE ORIGINAL HELMET from Nitrinos. What is the original Predator helmet from Nitrinos? 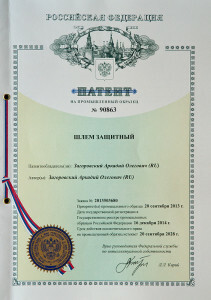 – Original (from lat. originalis – initial) – initial, authentic. The protective Predator helmet is developed by Nitrinos in 2010. – There is a >VIDEO< with Nitrinos logo dated 2010 to proof this fact. We guarantee you won't find an earlier mention about Predator helmet. It proves that it was Nitrinos who initially developed the Predator helmet. 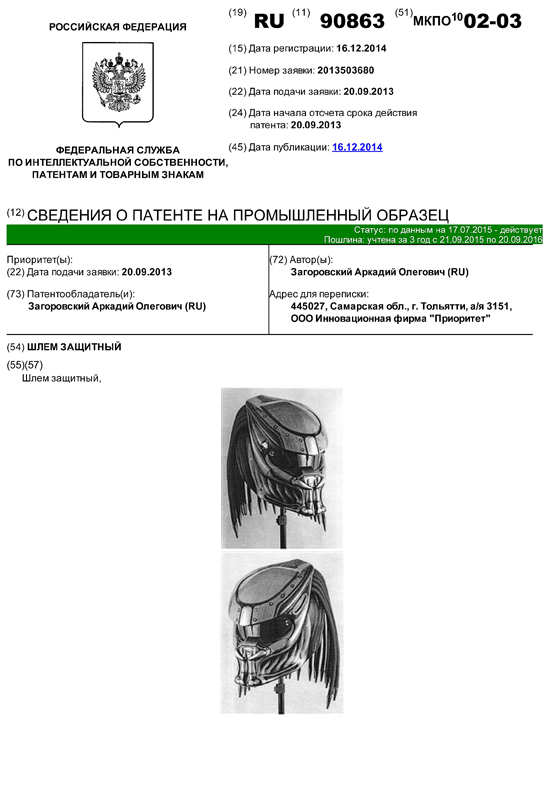 The second proof of the authenticity or originality of Nitrinos Predator helmets - is a presence of official goverment patent with validity until 2023.Thus, every reasonable person should understand that original Predator helmets means - Nitrinos, and all other helmets helmets which are similar to the Predator - just fake.